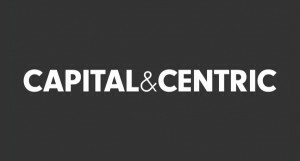 Inspired Spaces North, in association with Active Profile and backed by headline partner Capital&Centric and supporting partners Brabners and Zut Media, was launched back in April and invited entries from agencies, organisations and companies across the North. We were inundated with entries of some truly stunning offices, and after a three-hour judging session, selected a list of 45 spaces. 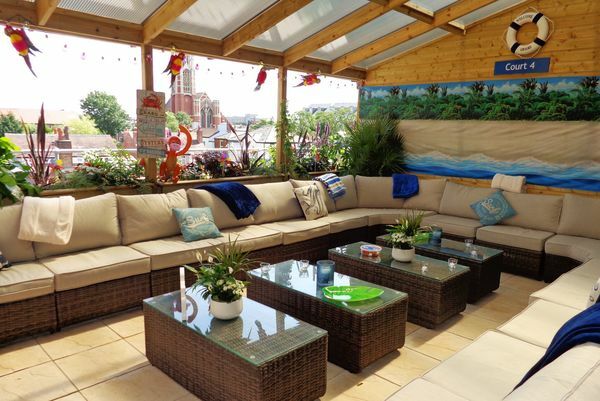 Please note there will be no final winner, but we will be celebrating all the spaces at an event later this year. We have already profiled 31 of the featured entries - see Part 1, Part 2, Part 3, Part 4 and Part 5 - and today we profile the next seven. 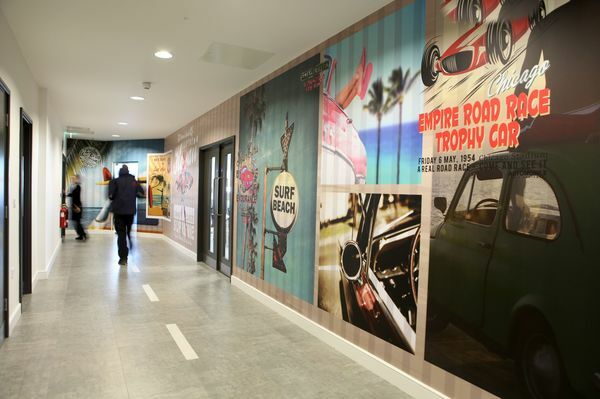 Each floor of Rentalcars.com's Manchester HQ has been designed around a different theme, from road trips to car movies, famous places, unusual cars and the world. The team can go from a meeting in Las Vegas to a meeting in Central Park or even a cave. Each floor is also designed to be highly functional, with writable walls throughout the floors and meeting rooms, 40-inch widescreen TVs, and video conferencing, and each also has a diner or kitchen with free fruit, coffee, tea and juice. There's even a beach - well, a beach-themed cafe - where you sit on a swing at the Starbucks Cabana, chill in a beach chair, eat in one of the beach huts or have a game of pool on top of a classic Ford Mustang. Every client who walks through the door at Bark&Bite Manchester is greeted by Tom Selleck, BA Baracus and Jean Claude Van Damme, which sets the agency's tone nicely. 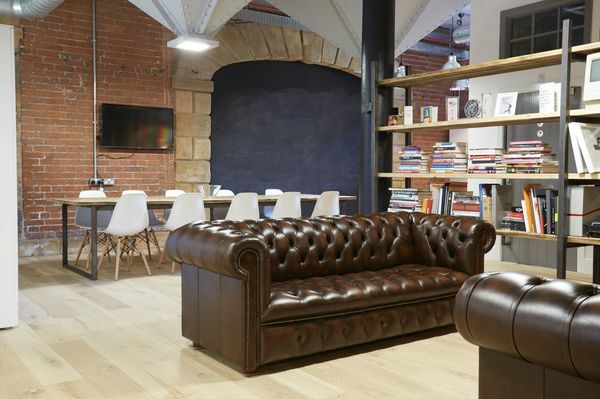 The Leeds agency opened its Manchester operation last year in Queens Chambers, a Grade II-listed building built by Pennington & Bridgen back in 1876. 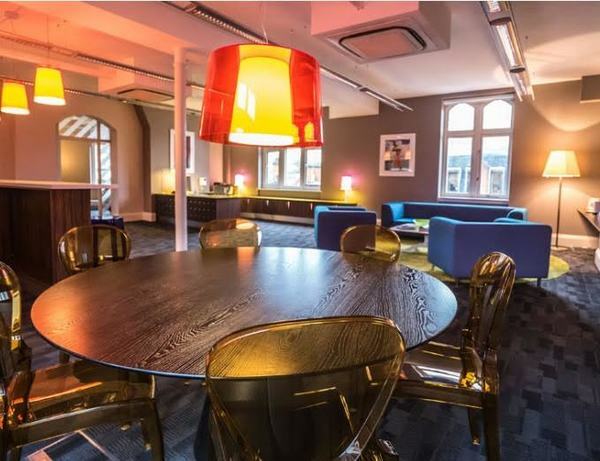 Its large Victorian windows and high ceilings create an airy haven above the bustle of Deansgate, with the decor a combination of pops of vibrant colour combined with Scandinavian-style uncluttered minimalism. The space is entirely lamp-lit to create a sanctuary-like atmosphere and as the sun sets, it almost has the feel of a club VIP area. 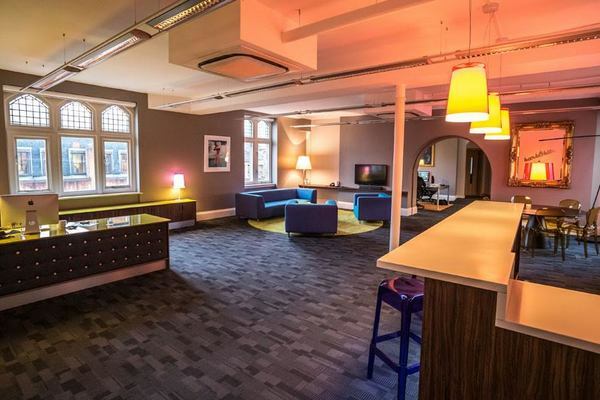 A former magistrate's court, The Old Courthouse in Southport had been lying empty for years before marketing and PR company Access Point transformed it into offices. From the moment you walk in you are confronted by bright light, marble and gold, a relic of Edwardian grandeur. From there you come into the renovated offices, formerly courts one and two, now a large open plan space under two huge sky lights. 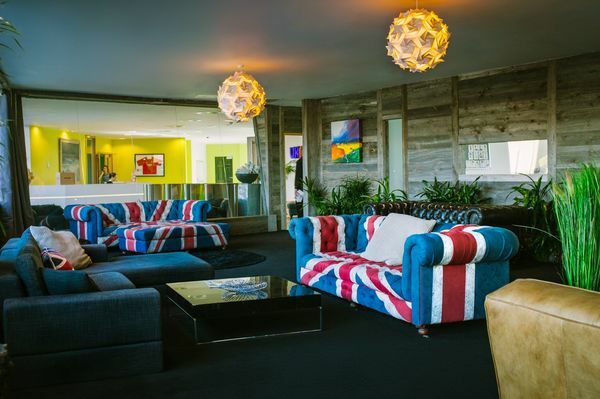 The company has incorporated original features like the wood panelling into the design, and has also reused old furniture to make a boardroom table, seating area and bar. 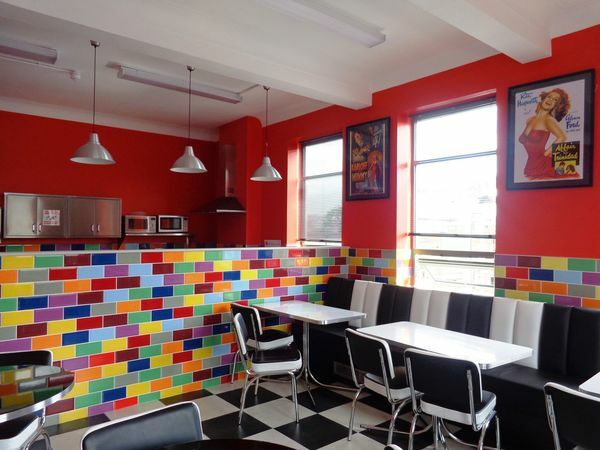 There’s a Pop Art inspired American diner for staff to relax in at lunch time, a sofa room with foosball and pool, and even a roof-top terrace, complete with a furnished hut and some artificial grass for a mini crazy golf course. 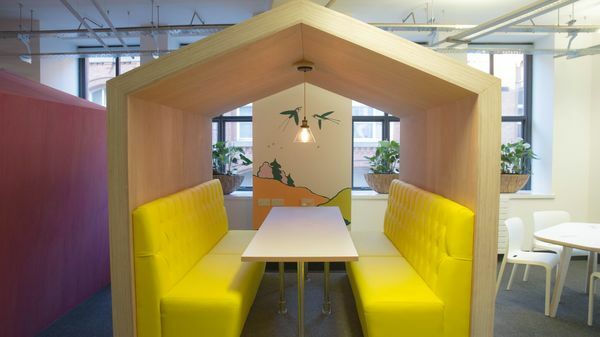 The agency's Manchester base - known as Department X - consists of four creative pods, an editing suite, a social media newsroom, an updated and up-to-date creative library, presentation space and a mural of creation. "Creativity has the power to change healthcare," says chief creative officer Tom Richards, "but great ideas rarely arise from being slumped in a swivel chair; you need an environment that allows ideas to be set free." 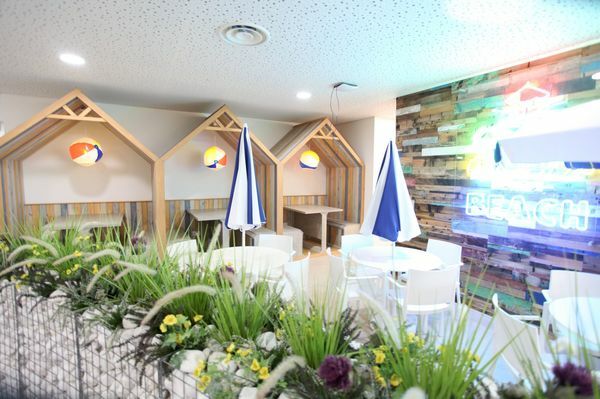 The place is peppered with plants – "plants not only bring a breath of fresh air, but also fill the room with green – the colour of creativity" - and Richards says productivity has improved "massively" since moving into the new office, winning 71% of pitches won during 2016 so far. 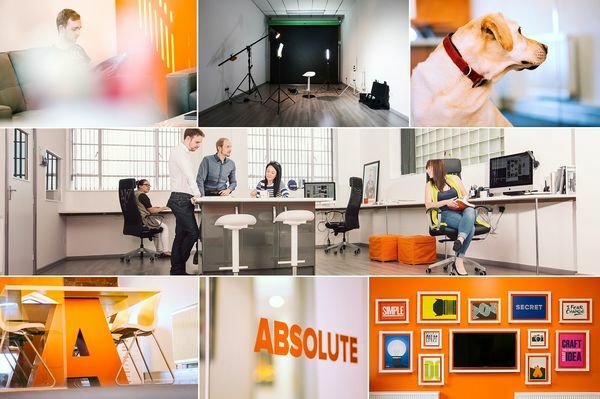 Absolute first moved into its offices – a 100-year old chapel complete with original features like stained glass windows – 16 years ago, and last year expanded further into the chapel, doubling square footage to 6,200, where its team of 14 creatives and designers work every day. The Bolton agency has designed the space to be as flexible as possible - the photography and filming studios, for example, have been used as meeting rooms, to host seminars and workshops, exhibit artwork and photography, and social spaces to entertain. The flexibility means the team never needs to go off site for projects, cutting travel time and cost. 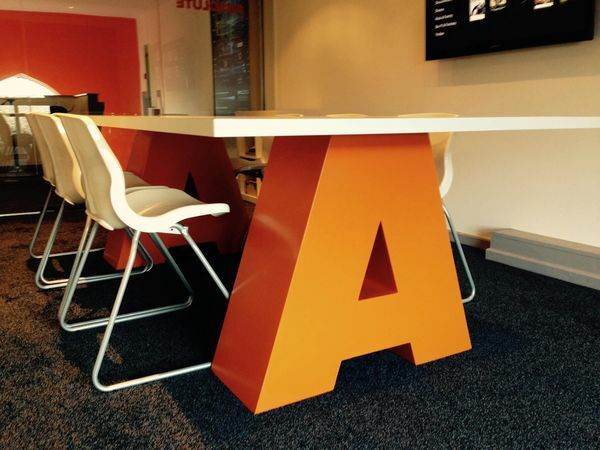 "The big bold colour scheme and graphics, different working zones, leading technology and quirky features give clients a real insight into what Absolute is all about as an agency, as well as what it is we’re trying to achieve," the agency says. Moving from its former rented base at City Tower was a big step but one that that CEO Lawrence Jones has never looked back on. "When we acquired the 50,000 sq ft shell of UKFast Campus in 2013, the only limit was our imagination," he says. 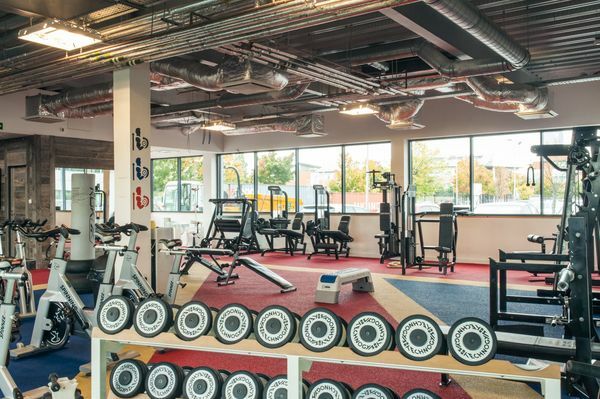 And that imagination has run wild - there's a 300-seater auditorium and 40ft fully stocked bar, a balcony-facing zen garden, on-site gym and steam room with employee-led running clubs and kettle bell classes, pool tables and a gaming loft. There's also a £4.2m in-house training and education centre that allows staff to study for a range of company-sponsored qualifications, from coding to shorthand. Productivity has increased hugely thanks to innovations like the tailor made light-up desks, which flash red when someone is busy and green when they are free to take on more tasks. Jones adds: "The team is so passionate and works so hard that they deserve a space like this, a home from home, where the carpets are the most comfortable we could find, each area of the office is themed for a particular mood or activity and they have everything that they could need, on-site." When the agency bought the Grade II-listed Grain Warehouse on Victoria Quays in Sheffield almost a year ago, it had been empty for almost 50 years. 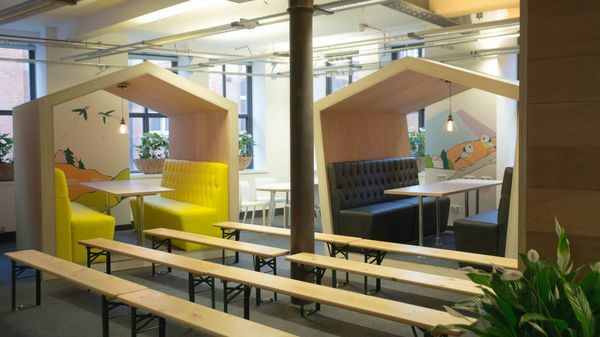 Since then it says it has developed a relationship with the space that "goes way beyond just working here, it’s definitely become our second home". Since moving in, the agency has had its best financial year ever, doubling the size of the business in terms of staff and winning several major clients. 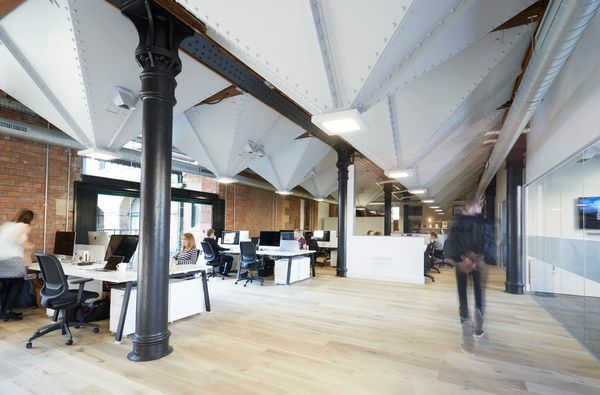 The space features 17 huge, steel grain hoppers - inevitably a big talking point for clients - and the refit as a whole has been very sympathetic to the old building. The introduction of big glazed spaces has brought not just "oodles of natural light" but also "a grandstand view of the ducks, herons and narrow boats on the Sheffield canal basin outside".